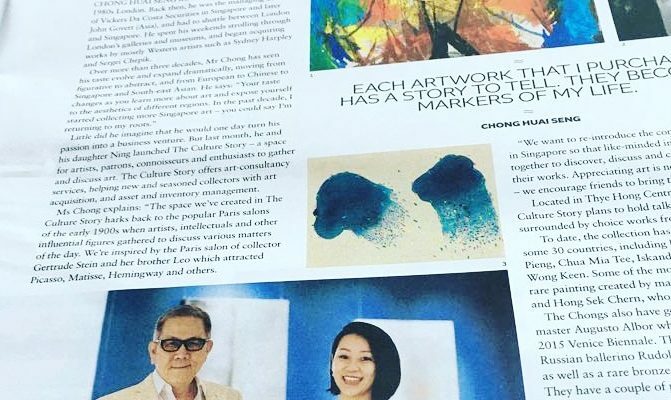 Featured in the LIFE Section of The Straits Times, founders Chong Huai Seng and Ning Chong shared about their common love of art and their vision to cultivate connoisseurship amongst new and seasoned art collectors. Below is the English summary of the Chinese interview which can be found on zaobao.com.sg. For the full article, please click here. 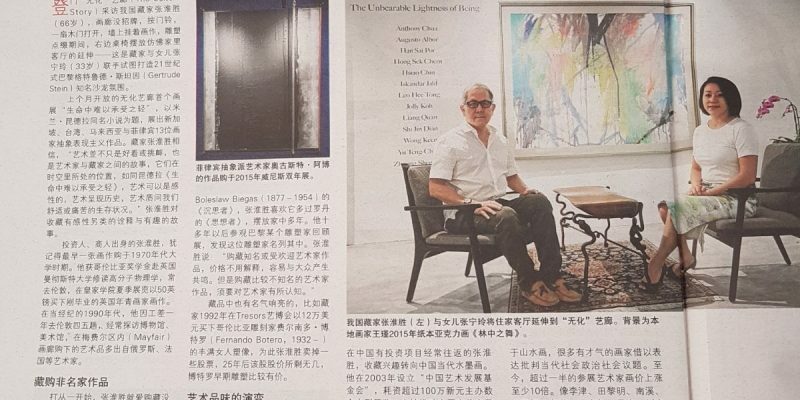 In Lianhe Zaobao (联合早报)’s Sunday edition on 30th August 2017, co-founder of The Culture Story, Chong Huai Seng, shares his journey as an art collector. Like any other young collector, Chong started buying art in a way not too dissimilar from a tourist buying souvenirs as a keepsake of his travels. The years of experience, exposure, in-depth reading, and readily accessible information on the internet however, has shaped Chong into an astute collector aware of his own sensibilities and perceptions towards art. 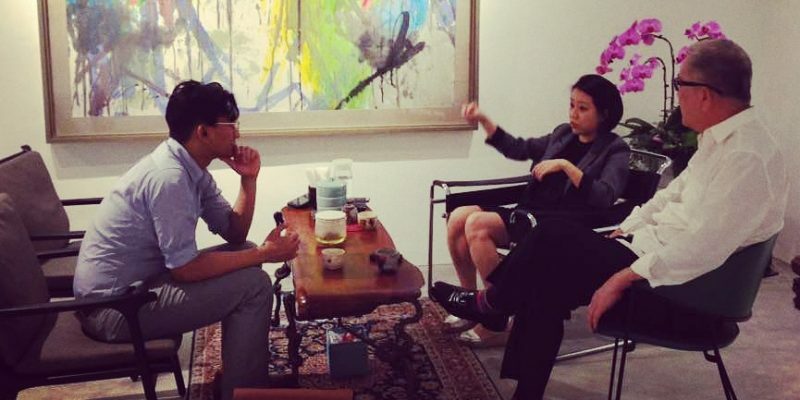 Unlike many who bought art as an investment, Chong consumed and collected art. Over the years, collecting eventually became an accumulation of asset. Alongside the personal growth, his preferences have also changed. From an interest in Western works while in the 1990s , Chong’s frequent travels to China eventually led him to take interest in Chinese ink works in the early 2000s. While at it, he helped to establish the China Art Foundation in 2003 and ploughed efforts into promoting and supporting Chinese ink artists. 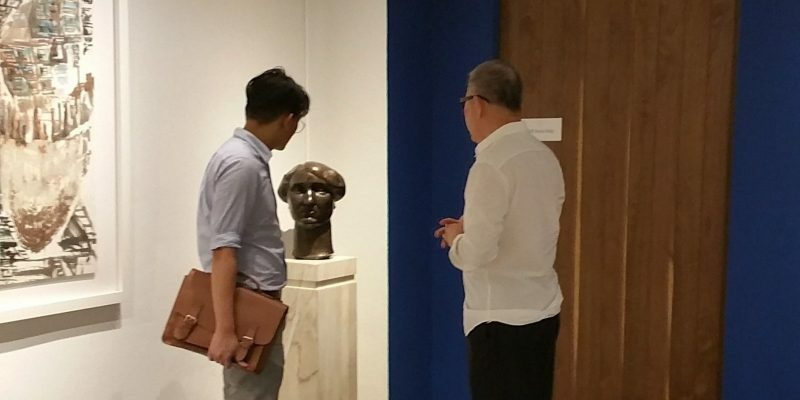 After returning to Singapore, Chong turned to collecting works by Singaporean and Southeast Asian artists such as Hilmi Johandi, Wong Keen, Siew Hock Meng, Lee Boon Wang and Filipino artist Augusto Albor. From the outset, Chong took an interest in collecting works by lesser known artists but were no less powerful in striking a personal resonance. While it is easier to find concurrence on opinions towards famous artworks, the works of lesser known artists require an intimate understanding of the artwork and the artists. It is with this sincerity that Chong collects art. With earnestness, Chong seeks to understand and develop a personal relation with each piece of work. He believes that a collector need to take risks, develop their own individuality and aesthetic sensibility, and prioritize works that contain social commentaries. More than just a gallery, The Culture Story is about creating a space for a gathering of people, to realise a community for a deeper understanding of art. Talks like the recent Meet-The-Artist: Augusto Albor, carry a personal quality to them, akin to a comfortable get together for serious art lovers. 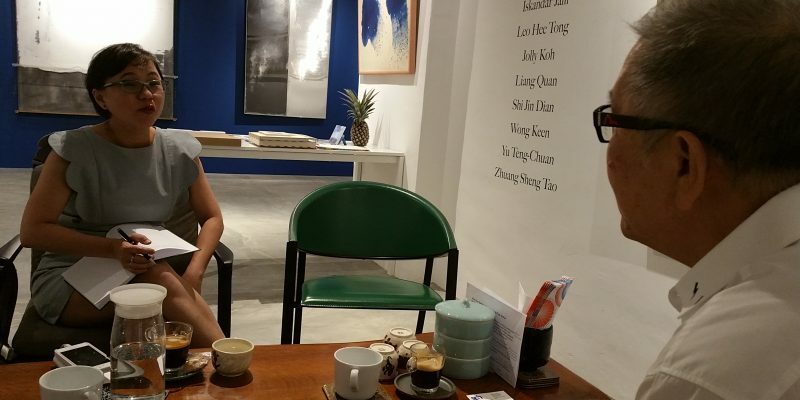 At the end of the day, the space is about promoting a Singaporean life compatible with art, and to create a “living room” space that the art community can congregate in. To read the full Intersection.Sg article, click here. Intersection.sg is a digital quarter of the Gallery & Studio magazine – a Singapore-based art lifestyle magazine that covers the Southeast Asian art scene. 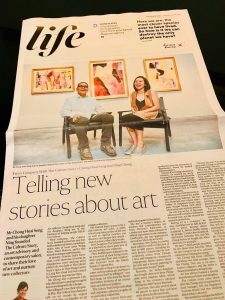 With a focus on the Singapore readership, as well as a minority from SEA and other parts of the world, the magazine aims to initiate its readers to the art world. The content is built around in-depth feature stories and interviews with artists and gallery owners to introduce and deepen understanding of art, art shows and the people behind them all. For more information about Meet-the-Artist: Augusto Albor talk, click here. 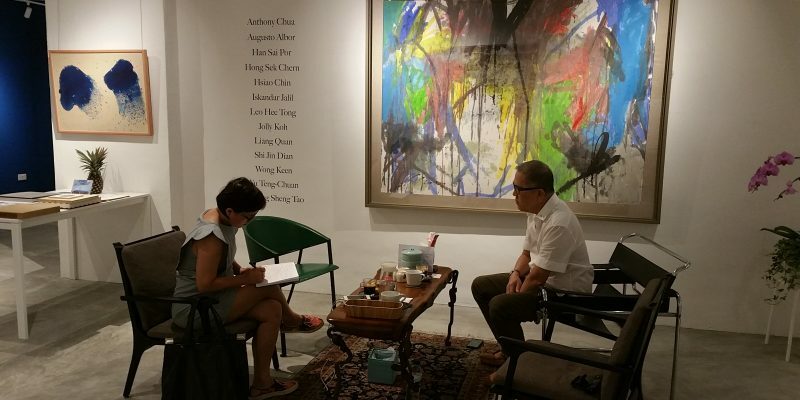 Chong Huai Seng fell in love with art collecting in 1980s London. Back then, he was the Managing Director of Vickers Da Costa Securities in Singapore and later John Govett (Asia), and had to shuttle between London and Singapore. Whilst in London, he spent his weekends strolling through galleries and museums, and began acquiring works by mostly Western artists such as Sydney Harpley and Sergei Chepik. When he started collecting, little did he imagine that he would one day turn his budding passion into a business venture. 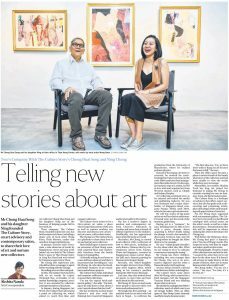 But last month, he and his daughter Ning launched The Culture Story, a space for artists, patrons, connoisseurs and enthusiasts to gather and discuss art. The Culture Story offers art consultancy services, helping new and seasoned collectors with art acquisition, and asset and inventory management. Located in the industrial building of Thye Hong Centre on Leng Kee Road, The Culture Story plans to hold talks, screenings, exhibitions and casual get-togethers, surrounded by some choice works from the Chongs’ collection. To date, the collection has over 300 pieces from approximately 30 countries, including local works by Cheong Soo Pieng, Chua Mia Tee, Iskandar Jalil, Han Sai Por and Wong Keen. Some of the more unusual pieces include a rare painting created by married couple Anthony Chua and Hong Sek Chern, who don’t typically paint together. The Chongs also have gorgeous abstracts by Filipino master Augusto Albor which were showcased at the 2015 Venice Biennale. They have a large canvas of Russian ballerino Rudolf Nureyev executed by Chepik, as well as a rare bronze bust by Henri Gaudier-Brzeska. They have a couple of priceless works on which they decline to go on record.